For peeps that own the real hardware. This was just sold as faulty so I wasn't sure what to expect with this one. 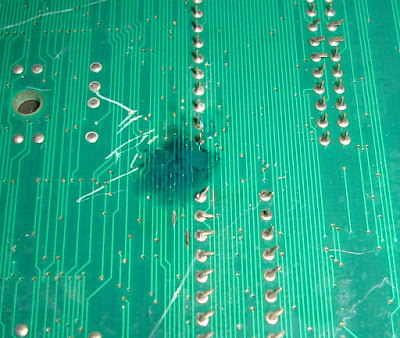 First of all a visual inspection, I noticed right away a deep scratch on the bottom of the board that had taken out several traces. 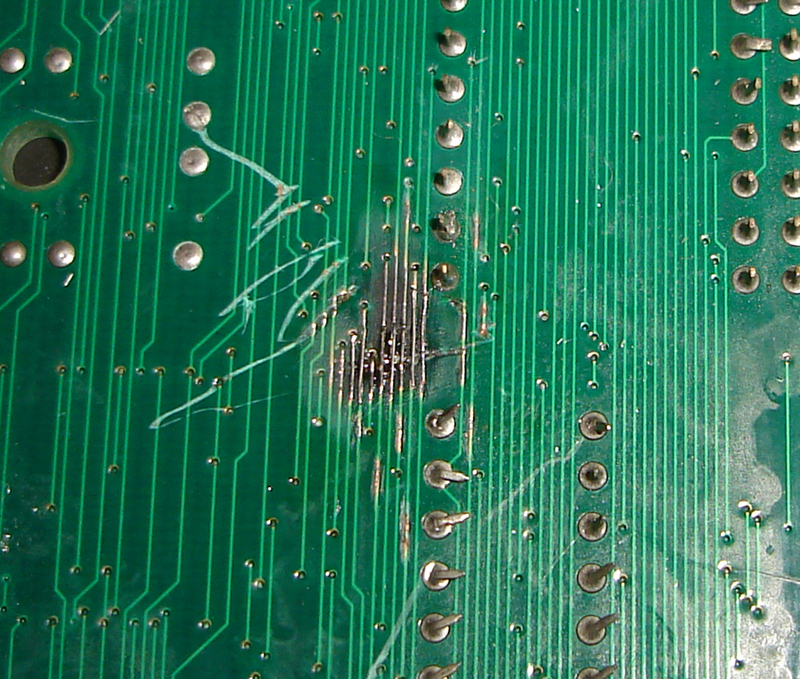 Someone had taken off some soldermask and figured out which were the bad traces but not made any attempt to repair them. 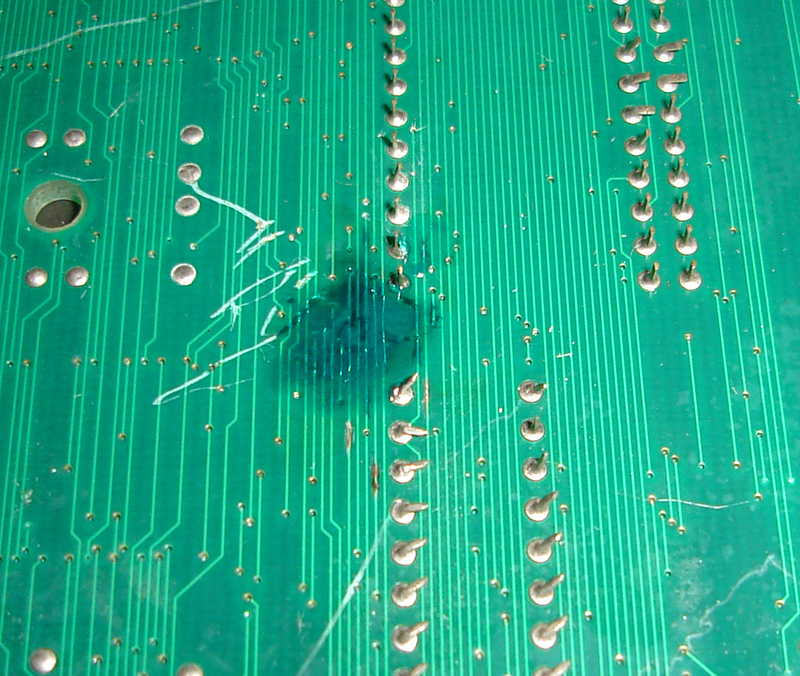 I was going to use kynar wire but this was too big, the traces are extremely small and close together. So I ended up taking some multi core wire and using a single strand about the size of a hair. 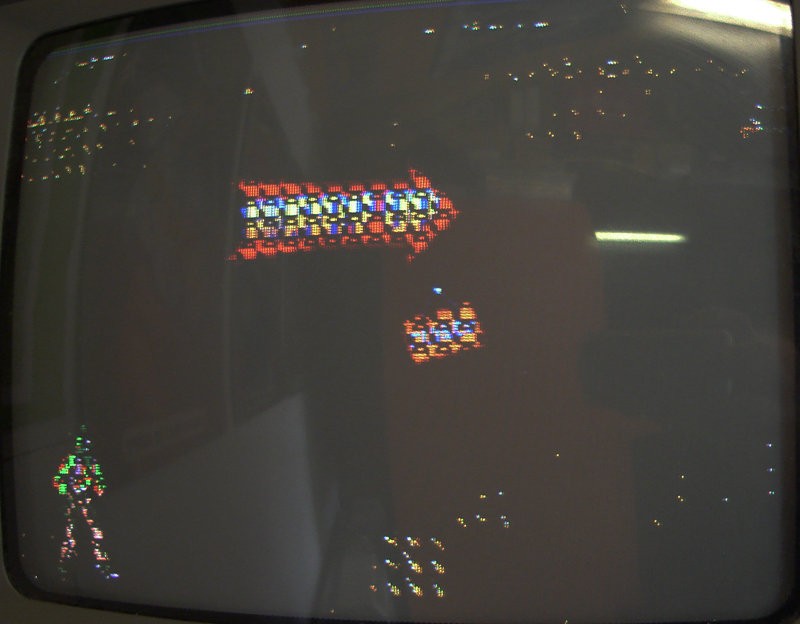 With the micro surgery complete and no other visible issues I powered the board up. 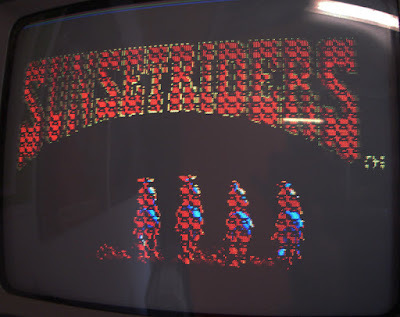 At first all I got was a black screen so didn't think it was running but then the music kicked in and part of the title screen appeared. 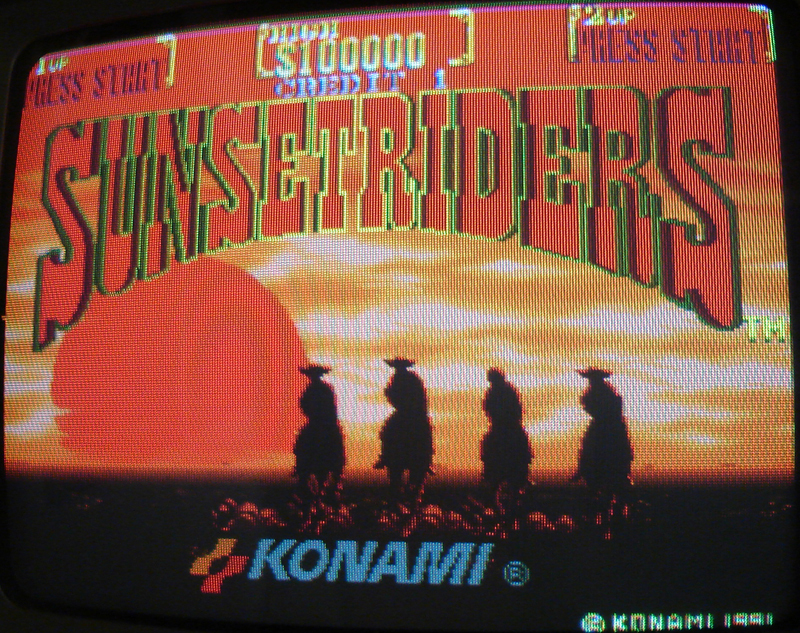 I fixed another Sunset Riders pcb recently that didn't end up getting logged but it gave me a good idea where the issue was. 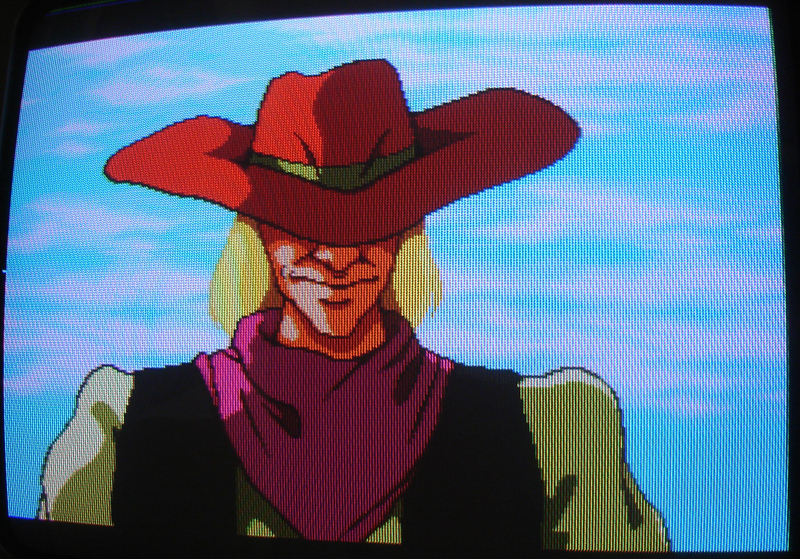 The other board wasn't as bad but had colour and background issues caused by a bad 053251 konami custom. 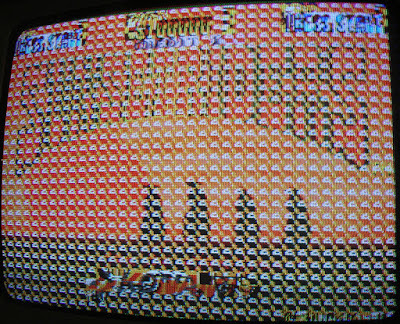 By touching certain pins on the custom chip I was able to get it to display slightly more of the background. 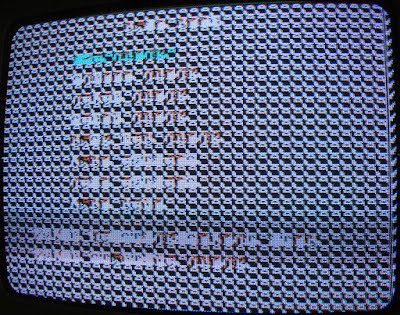 I took a donor 053251 from a Golfing Greats pcb. Not quite there yet but better. Time to check the maskroms as these are another common failure on this era konami board. 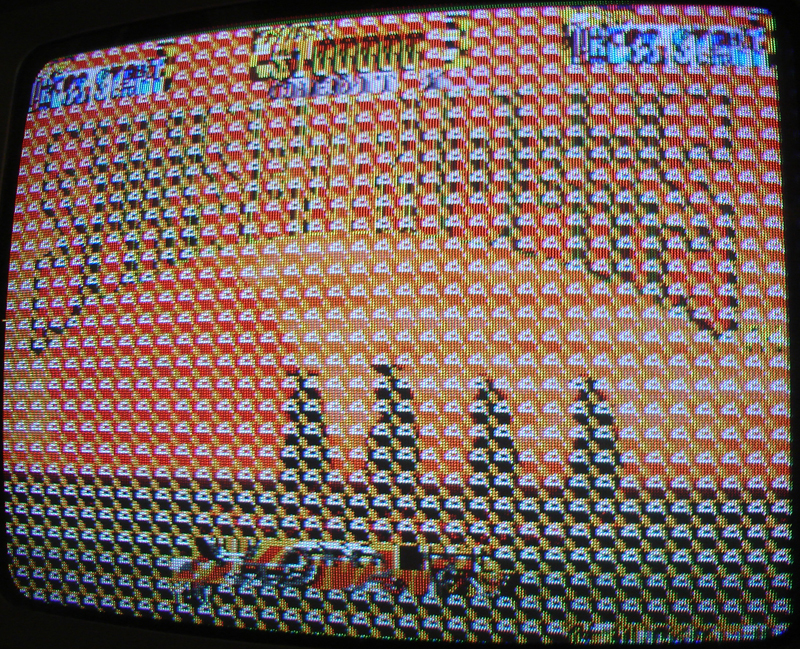 I went into test mode but wasn't able to read which was the maskrom test, I used mame to see what I should be seeing. 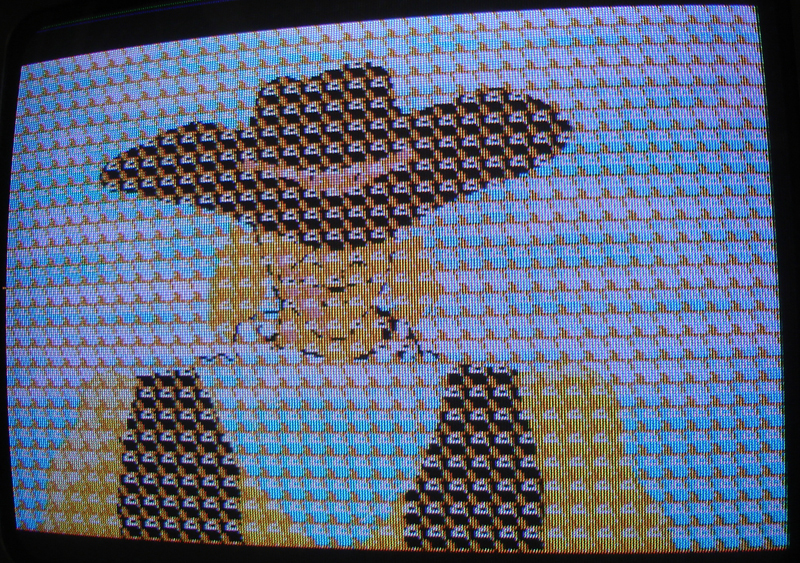 Then I could see the bottom two turned red which again in mame I could see was 16K and 1D, 16K maskrom contains graphics data and D1 contains the audio. This explained the lack of shooting and certain other sounds. 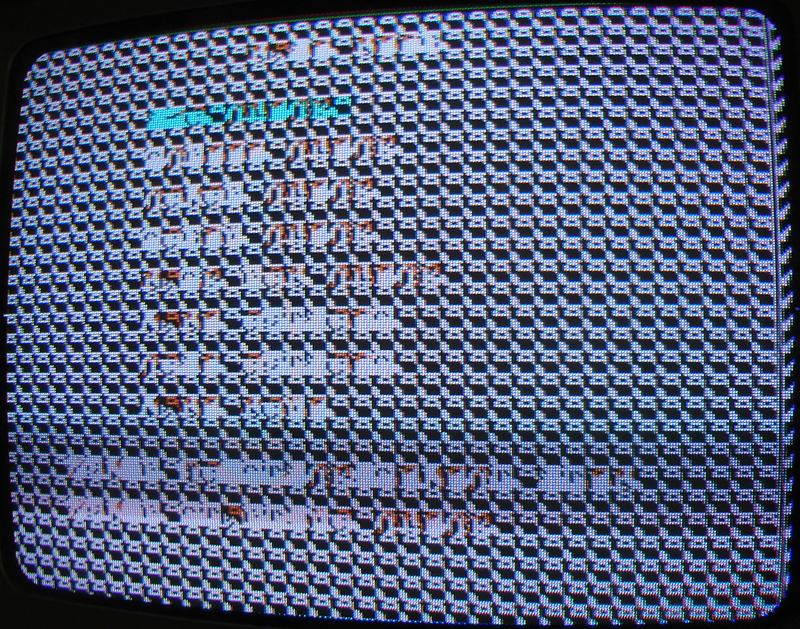 I then replaced the two maskroms with eproms (27C400 and 27C800). Luckily they were all in sockets from the factory, usually they're soldered directly into the board. 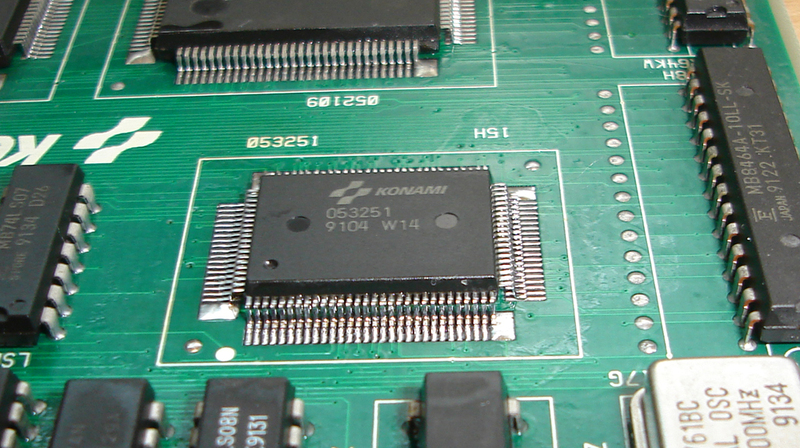 A blob of liquid soldermask to protect the repaired traces on the bottom and the repair is complete. Do you repair Sunset Riders pcbs? 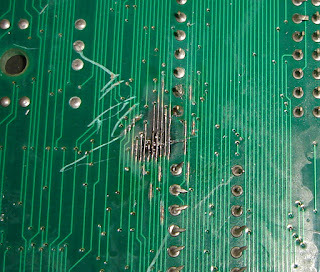 I don't really repair boards like this for other people sorry. After two lots of shipping, my time and usually a donor board being needed the cost would be higher than buying a working board.